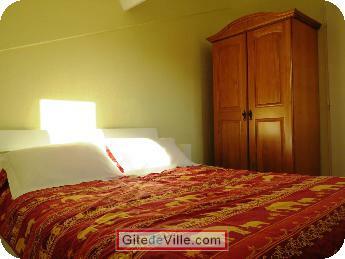 Vacation Rentals - Holiday Rental ads in the city of Anglet in France for Tourism. 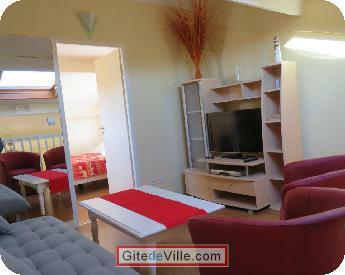 Self Catering Vacation Rental of 70 m² in Anglet for 4 peoples. 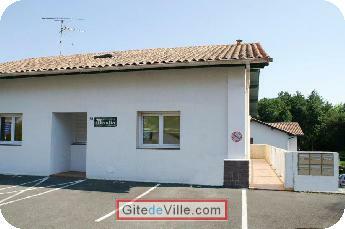 Nice 3* duplex (70 sqm, 2 bedrooms) - maisonnette style - with balcony and barbecue in the Anglet Monbrun area, 5 min from the beaches (2.5 km) and 300 m from the Chiberta Forest (cycle paths, children playground and fitness trail). Comfort, quiet and relaxation for a couple, a family or 2 couples of friends in a very bright setting (South West oriented). Sleep 2 to 4 people. - 2 separate bedrooms. Bedroom 1 (on the ground floor) with 1 double bed. Bedroom 2 (upstairs) with 1 double bed + 1 single bed (cot and high chair available). 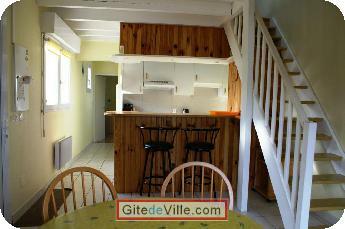 - Bathroom with toilets, bathtub, shower and washing machine. - 100m away, bus stop n°5 (St Michel) liking the Anglet beaches and the SNCF train station Bayonne down town Anglet and via Bayonne town center. - 900m away is a bicycle lending (like Velib but free) (from June to September). - 1.2km away a Leclerc Anglet Mall. 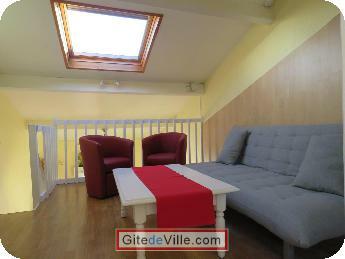 - Biarritz Anglet Bayonne Airport (BIQ) is served by Air France, Ryanair, Easyjet, Transavia and Baboo and is 10min Taxi (5km). 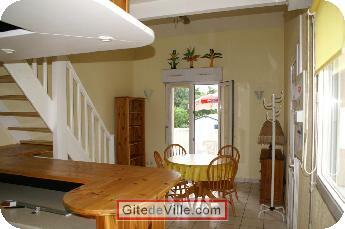 - The railway station in Bayonne is located 4km from the rental. Note that the bus line No. 5 from the train station serves the St. Michel bus stop, 100m from the house. Last Ads update : 10/03/2015. 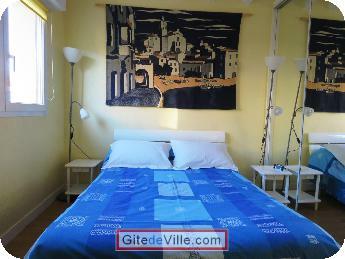 Owner of an urban accomodation or B&B to rent in Anglet ?